Hi everyone! It's been a while since I've been in the Zootopia forum. Last tour, I had posted an unoffical "Guide to the General Admission". I have updated it and will continue to update it as the iNNOCENCE + eXPERIENCE 2015 Tour unfolds. I have left the entire guide on my site where I will be making the updates. If you think there are other questions or topics that need addressing, leave a comment or feel free to message me. This U2 General Admission (GA) Guide has been updated and will be refined throughout the U2 iNNOCENCE + eXPERIENCE Tour 2015. Ever since I began seeing U2 concerts during the Elevation Tour, I have preferred watching the band from GA. For those unfamiliar with GA - it is a concert ticket on the floor that is first-come-first-serve. But the GA is more than just a ticket. Because it is first-come-first-serve, there is the inevitable situation where dedicated fans queue (line) up early, in order to secure a good place on the floor near the stage. Some cities have fans line up over night, while others wait for days. 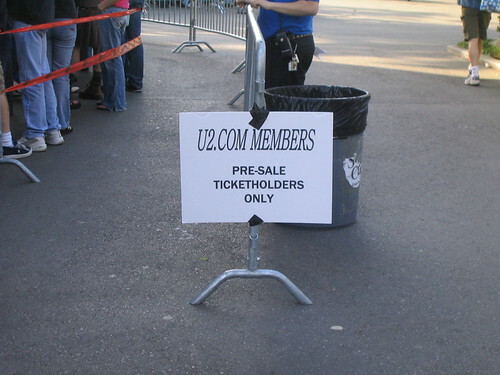 Indeed, a community of fans have arisen out of these U2 queues. As such, norms, understandings, and expectations have developed over time by fans on what to expect when we line up for general admission. I should stress that these are not my rules or anybody else's set rules, these are just more of the common practices I've seen from different GA lines around the world. This page is a compilation of my experiences of different U2 GA queues from my travels to see U2 concerts throughout Europe, North America, Australia, and South America. This is my Guide to the U2 General Admission Queue. For the first two legs of the Innocence and Experience Tour, we are going back to arena venues - similar to the Elevation World Tour and most legs of the Vertigo Tour. While I outline several aspects of general admission, I do highlight some of the ‘not-so-pleasant’ things of queuing up. But in the end, it is important to remember that seeing a U2 show through GA is an amazing experience all together - for the fans you meet, the music we hear, and the community that emerges. I find the whole GA queue to be more than just trying to get to the front or in the pit. I find the GA line to be a great U2 community experience, and a wonderful way to make new friends. These are friends I’ve remained in touch with since Elevation, Vertigo and the 360˚ tours. This may explain why out of all of the the shows I will see during a U2 tour, all will be through GA. For me, there’s no other way but GA! A: There are various ways to get GA tickets – but don’t ever get them through scalpers! Ticketmaster often releases additional GAs a week or a few days before the show (I got a single GA for Vancouver, one week before the show for a friend). Usually there are day-of tickets made available by the venue in order to undercut scalpers. At EVERY show that I’ve been to (Europe, North America, Australia), there has always been a handful of GA tickets that need to be sold by fans to other fans at face-value in the queue. Sometimes plans change, and friends cannot make it, so GAs are surprisingly plentiful the day of the show. I’ve seen this happen at even ‘popular’ shows like the Tour opener at Barcelona; Dublin I, II, and II; the tour opener at Chicago; Las Vegas and LA; and the tour closer at Vancouver. 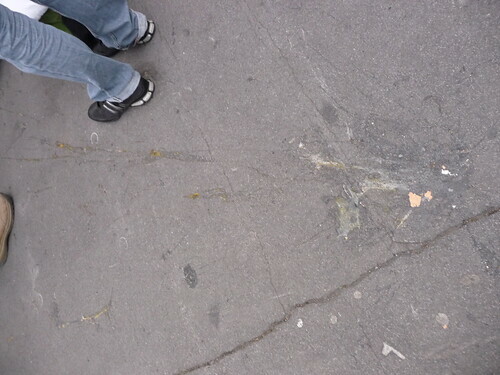 There are always spares floating around in the queue, just ask around. What we started to do when we organized the Vancouver and Edmonton queues was take down the queue number of fans who had spare GAs and correspondingly marked them in the GA book. When other fans were looking for spare GA tickets, we would refer to the queue numbers in the book and point them in that direction — worked like a charm whereby fans helped fans and avoided the scalpers. UPDATE: Extra GAs held by fans are harder to find because of the credit card entry, in which transfer of tickets is difficult if not impossible. At venues where the GA is credit card entry (i.e. ticket-less entry), better to try at the box office the morning of the show. Relatively new to concert entry experience over the past few years is 'credit card entry', which makes it impossible to transfer tickets ahead of time. Unlike paper tickets, you enter the arena by swiping the credit card used to purchase all the tickets for that show. So if there were 2 tickets you bought from Ticketmaster for the first concert in New York, 2 'seat locator slips' would be printed by a handheld scanning machine operated by the steward at the door, and then the 2 slips handed to you upon entry for you and your guest. There has been lots of questions on whether credit card entry tickets are transferable. According to Ticketmaster, "That’s up to the artist, team, or venue! If they give the green light you’ll see a Sell button when you click the order number under Order History in My Account." From my understanding of the Vancouver credit card entry, if you want to transfer (or sell) your ticket to another fan, you will have to be present at the door to have your credit card swiped. You can then hand over the 'seat locator slip' to the people you are selling to. In other words, this system doesn't help those queuing up early unless the person selling you the ticket is with you in line. Q: I'm going to the concert with a credit card that has since expired. How does this work with entry and the queue? A: At other concerts I've been to with credit card entry (where I had bought tickets with my credit card and had since expired), I was told by the box office to bring my old credit card to swipe me and my guests in. It worked just fine. If you have discarded your old credit card, but the numbers are still the same, I've been told that new new will still get you in. Since venues set different entry policies, it is always best to call and ask the venue. A: Since credit card entry is relatively new to the U2 concert experience, I don't know what the norms or expectations are around this issue. I know that during the times I've managed a queue, and some family members or friends were arriving late (with a reasonable explanation, like work or child care), then I would add all their names on the queue list but encourage them to talk to their neighbours, explain why some people are arriving a little late. I've found most people are very reasonable and understanding. It's really a matter of being courteous to others. Q: If I bought some tickets for family on my credit card, but I'm not going to the show, do I need to be there to show my ID and let them in, or can I just give my family members my credit card so they can enter the arena? A: In my discussions with some venue security, they are too busy scanning tickets, with an urgency to get the queue in quickly and safely. Checking IDs is time consuming and therefore not done. With this said, it's possible to lend your credit card to friends or family if it was purchased on that card, so you don't have to be at the venue to let them in. Q: Why does my paperless ticket indicate that my section is "S-FLR" (South Floor)? Others have "N-FLR" (North Floor). Does that mean there will be two entrances and sections to the floor? "Chances are we will have a North Floor and a South Floor and they will be separated from each other; however everything is subject to change." The IE Tour GA Floor - split between north and south sections. Notice the yellow tape on the floor to the left - 'SOUTH'. Day Before or Very Early Morning: If you want to maximize your chances for a position along the rail (there is plenty of it - I approximate about 250 spots along the entire rail that encompasses the front, catwalk, and e-stage), you probably want to get to the queue the day before or very early morning the day of the show. 7AM to 11AM: You can get a good spot near the rails and be anywhere in the first 2-5 rows. 11AM to showtime: Considering the size of the main stage, b-stage, and catwalk; as well as how small the floor in an arena is, wherever you end up on the floor, it will be very close to where U2 will be. A: This was the case at the first show in Vancouver for the IE Tour. Security didn’t want people to camp, because of the sensitivities around tent-cities being built and homelessness in the city. But they were willing to let 5 of us to manage the queue by collecting names and putting numbers on people’s hands. 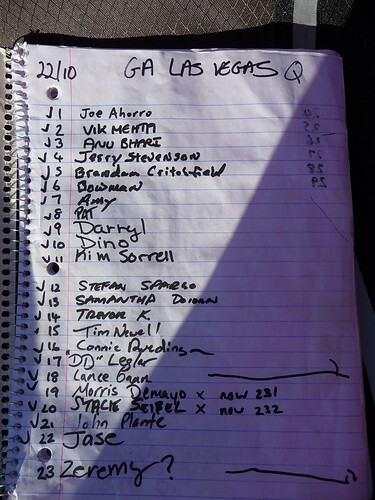 People were asked to return at periodic times to check-in and the morning of the show for ‘roll-call’. If people were not present during roll-call, they were scratched off the queue list. This was very effective during Vegas (360 Tour), where security cooperated completely, and actually kicked late-comers out. Lesson to be learned: you can’t just collect a number and expect to show up 2 hours before we’re let into the venue. Mind you, not all venue security act as cooperatively, and may not care about the numbering system. It’s up to fans to implement and self-police the queue. Our tents at the IE Tour in Vancouver. The point that I am making is that although the venues may proclaim a certain time to allow queuing up, fans will continue to line up somewhere regardless of ‘official policy’. Us U2 fans can be obstinate at times My advice, check out the venue the day before the show and see what is going on. Chances are there will be fans queuing up, and ask how the queue is being organized and then show up at a time of your liking – whether that same day before, early in the morning the day-of, or later in the day-of the concert. A: If you are up for a marathon of GAs and have the stamina, I would recommend after the first show, immediately go back to where the queue was being organized the day before. In all likelihood, you'll find the queue organizers there giving out numbers for night 2. Conversations of who will start organizing the next night usually takes place on the day of the first show. In Vancouver, it was agreed upon that the organizers for night 2 would be those who had seats or didn't have tickets for night 1. Once the GA line for night 1 entered the venue, the organizers for night 2 would then start taking names and giving numbers for night 2. I've heard of some bad stories of the queue being organized by GAers while they were in the GA of night 1. This was completely unfair because it advantaged those already at the front of the GA for night 1 - so a decision was made in some cities so that those who weren't in the GA for night 1 would be the organizers for night 2. First, if you plan to camp over night, bring a small tent in case the venue allow “camping” (as defined as sleeping in a tent). If no tents are allowed, bring an air mattress and a sleeping bag. 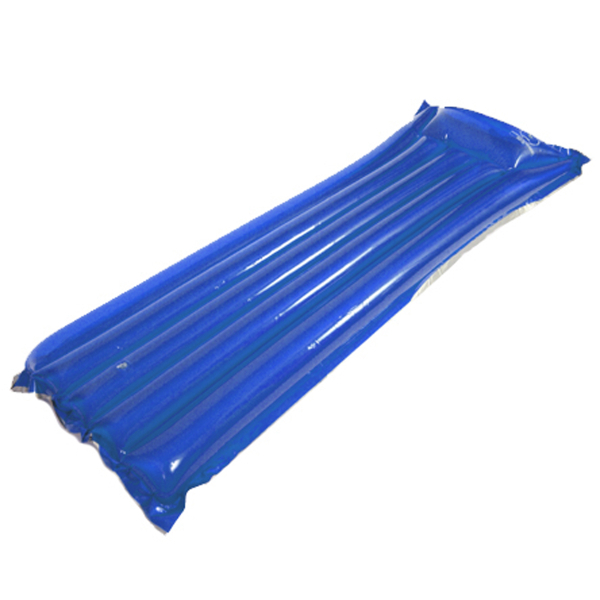 I usually buy one of those cheap $10.00 pool mattress to sleep on and a blanket or sleeping bag to keep myself warm. If I don’t have a tent to use, and in case it rains, I’ll usually bring Survival Bag to stay dry from the elements. These can be bought at any camping/hiking store for about $5.00. The morning of the show, security will ask you to put away your mattress and/or tents in your cars. Throughout the day, many bring lawn chairs to sit on or blankets to lie on to keep themselves comfortable. On the day of the show, I normally bring a minimal amount of personal belongings and food, in anticipation of leaving disposable items behind and having the ability to get through security quickly with only my camera and ticket (or credit card for the ticket-less entry) in hand. snack bars or granola bars to keep in your jacket or pockets to eat when you get in the venue and before U2 comes on (NOTE: You are usually let into the stadium once U2’s sound check is done, which is normally around 5:30. That will mean you will not eat anything until after the concerts which finishes around 11PM. Believe me, you will get a bit hungry, and will need an energy source for later). A: At most venues, security will line everyone up in separate pens, and ask you to open your bags for inspection. Point-and-shoot cameras are alright. I’ve seen people sneak in pocket digital HD camcorders. I haven’t seen any issue so far with people bringing in signs to wave to U2. Things I’ve generally noticed that security will disallow entry into the venue: ‘professional’ SLR cameras with large (2″+) zoom lenses, alcoholic beverages, chairs, umbrellas, and weapons (obviously). Some venues allow water bottles in, others don’t. Some allow water bottles without caps, in which case, hide a spare cap in your pocket. Some disallow outside food, while others don’t mind snack bars and such. Your best bet, ask security in the morning of what is allowed and not allowed. It helps to look for the head of security because they have better knowledge of venue policy. Remember, if you want to get through security check quickly, carry all that you can’t leave behind! Where the venue issues your GA wristband will vary. Some will do it at the point of security check, where they pat you down, and look inside your bag (if you have one). They may then tie a concert wristband on you and then you proceed (walking fast). At other venues I've been at, the wristband will be issued at ground level. Hold on to your 'seat location slip' as security may ask for it again here before they issue you a wristband. It's also important to mention that there will be a main stage, 'e'-stage, and a long catwalk between the two that (from an aerial perspective), resembles the iNNOCENCE + eXPERIENCE Tour Logo. So there will be plenty of rail space for you to lean on and chances to see the band up close. From the various photos I've seen of the stage layout, and precedence from the 360° Tour, the closed off area for the 'Red Zone' fans can vary in size and configuration. The plan above appears to show a larger 'Red Zone' compared to other prints I've seen where the Red Zone is situated around the circular b-stage. So upon entry, fans are usually coming in from the back at the 'e' stage. Your wristband will be checked (North-side or South-side) when get to the entry of the floor, and security will let you through. A: Unlike Coldplay shows or concert festivals which are the only comparisons I can draw from, U2 crowds are generally easy going and respectful. I’ve been able to enjoy the front with relative ease. The only times I found it tough in 2005 were in NY, Dublin I, and Honolulu, where ‘important’ people pushed their way to the front. Even for U2 360˚the crowds in Poland and Croatia were not pushy as I wrongfully thought they would. All other times, I thought there was general respect and a sense of harmony amongst us, and I look forward to sharing a ‘magnificent’ time with fellow U2 fans! A: In arena shows, even at the front, the stage is pretty low compared to stadium concerts. So you don't have to worry about craning your neck and managing cramps after. Even better, U2 are really in your face, so that's a pretty neat experience to encounter during a show. A: When Craig Evans, SVP Global Operations - Live Nation Global Touring at Live Nation, approached us in the queue and told us that it was no longer necessary to line up because all spots on the floor are good spots, it was hard to believe. Looking back, I think he was right. Viewpoint from the very front row, corner - Edge side. At the very front, the stage is at about 5.5 feet hight. The front row fits about 30 people across on each side. There no longer is 'front-row' centre because of the catwalk. So fans are either going to be in between Edge and Bono (on the 'south-side') or in between Adam and Bono (on the 'north-side). The band starts the first couple of songs at the front and end the show there; On the whole, U2 probably spends about 40 percent there. When you are at the very front, you can't see anything at the 'e'-stage unless you are 7 feet tall. It is also hard to see anything going on or in the screens. I can remember during some songs like Invisible (where U2 are in the screens), there was nothing going on at the front, which was different from past tours. We felt disconnected. However, the advantage of being at the front is seeing U2 appear at the start and close at the end. At the back - 'e'-stage - U2 spend about 30-40 percent of the time there. Like the catwalk, the 'e'-stage is about 4 feet high, so you can get a real close look of the band. It's here where U2 pulls fans up on stage to perform with them or participate in the Meerkat broadcast, where fans hold up a phone to film U2, which is then projected on the screen and online. I've heard that fans really like this perspective because of the high degree of spontaneity (such as when Edge fell off the edge of the catwalk at Vancouver 1) and the closeness to the band. The rail along the 'e'-stage fits about 80 or so people. If you have any other tips or experience worth mentioning, send me a message. We're all here to help each other. I look forward to seeing you all in the queue! For me, there’s no other way but GA! I agree that there likely won't be a pit on this tour (unfortunately)--mainly because there's no indication that one exists so far. But, I think a pit actually could work with the stage setup--just have two areas in front of main stage on either side of the (perpendicular) catwalk. Seems quite unlikely, though. Welcome back. So which shows are you attending on the 1st leg? Whenever somebody has a GA query I often link to your guide, it's brilliant! Now I can pass on an updated version, thanks very much for this. Hey Mike - thanks! Good to be back. I'll be attending the first Vancouver show, the last 4 in NY and the last 4 in London; and possibly the Dublin shows when they're finally announced! Hey ddarroch. Appreciate you sharing the Guide. It's meant to help fans understand what happens when they arrive at the venue, especially when they come early. I'll update the Guide right after the Vancouver show to give you a better indication of entry procedures, the floor, etc. Hope to see you in the GA too! Thanks for the post, Joe. I was hoping for an inner/outer pit so that I could (possibly) be on the rail. I was on the outer rail once in 2001 in NYC. I will see them in NYC twice for GA, and once with a "seat" ticket. Enjoy Vancouver, and we will be reading your posts . Thanks for posting Joe, I'm doing London and have never done an indoor queue before, any advice on how this might differ from outdoor? I think the doors open at 9am, so planning to be outside early hours, do you think it will just be a case of moving the established queue? I have GA tickets for Chicago and I'm really excited! Thank you for this guide. I'm a little concerned thought since my tickets don't show up in my ticketmaster order history. Is this the same for everyone? I had that happen to me, also. I thought my order got erased by a computer glitch. I was able to get tickets anyways 15 minutes later. When I got my credit card statement, there was an extra charge. I called Ticketmaster to see what was going on since my order history only show 1 pair of tickets, but got charged for 2 pairs. The Ticketmaster operator said to me that my first order did go through and apologized for the glitch. He offered to cancel my first order, but I decided to keep both orders. My advice is to call Ticketmaster. If your credit card got charged, you should be good to go. But I would get the confirmation number for your order over the phone AND in an email from them, and take it with you to the venue. You can private message me if you have any other questions. im always conflicted about the acceptance of leaving the GA to go attempt to meet the band, and then coming back in your same spot. If you're in line youre in line. Unless to go use bathroom, get food, parking meter, etc... but to go hunt band down, seems like double dipping. Moving an established queue has happened for stadium shows (i.e. Chicago, Anaheim, Montreal). So I see it as no different with arenas. It will be important to have open channels of communication with the arena staff and security of which are the entrances and when they'll open up. I'll be at the last 4 shows in London and have read that they let you line up inside the O2 center - so we'll be sheltered and confortable. Looking forward to it! I agree - it's like trying to have your cake and eat it too. In my experience, it's always best to get to know the people around you, because it would be them that you would be upsetting if you left for a long time to try to meet the band. Luckily in places like NY, the queue is right beside where U2 enters, so it's easier to see them there. Yeah, you should definitely check this out further w/TM, etc. Normally, GA orders definitely DO show in your TM order history--so something's off. My SSE Hydro tickets don't show up on TM, so i called and everything is fine. Just make sure you print out your confirmation email to take with you. I'll be in London for 6 shows so be interesting to see how GA goes there, I've also heard you get let in early. I'd imagine there won't be as many entrances to the arena's unlike some stadium venues, Paris was a nightmare in 2010, it was crush central at our gate (one of many) and we were lucky to get in the pit even though we started queuing at 8am. Put me off queuing although arenas should be different. I actually don't see the point of queuing to early as there seems to be no pit and there's quite an array of decent spots from front I stage, down the walk and the B stage or e as it will be. I'll will queue early for the first few shows but after may not depending on how it goes. I'll see you there Joe. I've got London 5 & 6. What date do you have Rhi_K? Thanks, guys for mentioning the credit card entry at venue and the Ticket Master history. I hope Dublin works out for you & everyone else Rhi_K.